(Jordan Standridge – The Cripplegate) I’m sure you’ve heard of it by now, it’s called the Mother-God cult. The official name is the World Mission Society Church of God. I’ve had my share of run-ins with them over the years. The Mother-God cult is a religion that started in South Korea, and now has more than 2.7 million members. I had a memorable conversation with one of these members that I wanted to share with you. I was about to evangelize on a college campus, when I passed a young man with Bible open, talking to a student. As I walked by, he was saying something about God being a mother, so I barged in and started a conversation with the guy, partly out of curiosity and partly to get him to stop talking to that poor student. 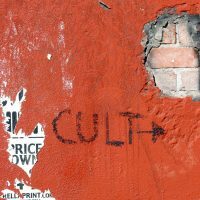 After a few minutes of conversation, I simply asked what has become my go to question when talking to anyone involved in a cult. With a look of fearful shock, he just stood there speechless.